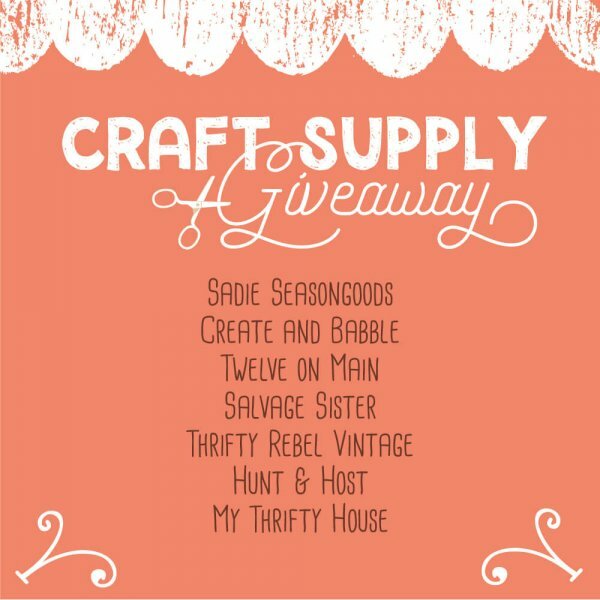 Check out this awesome craft supply giveaway that I am taking part of. 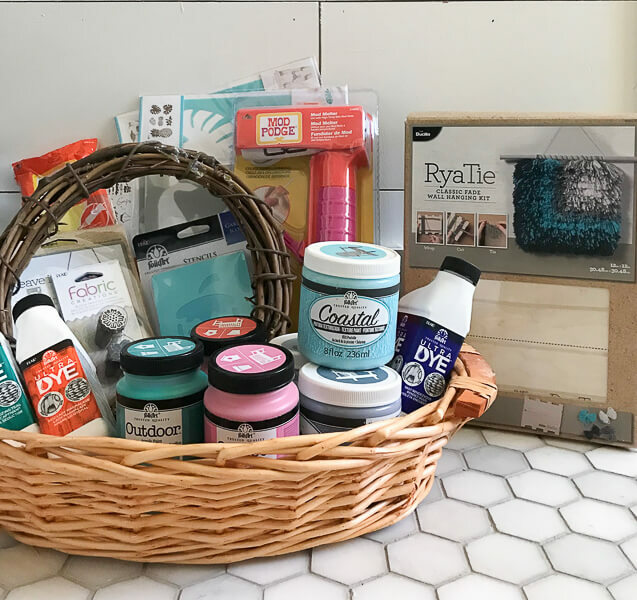 You can win a whole box of craft supplies! Keep reading to find out more. Hi there! I am super excited about this post today! 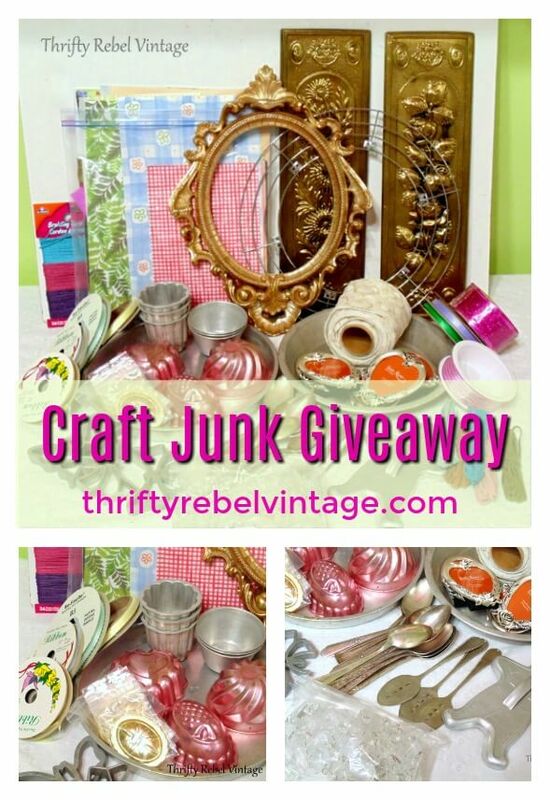 If you are here, then you might be interested in winning not just one but 7 different craft supply giveaway bundles! 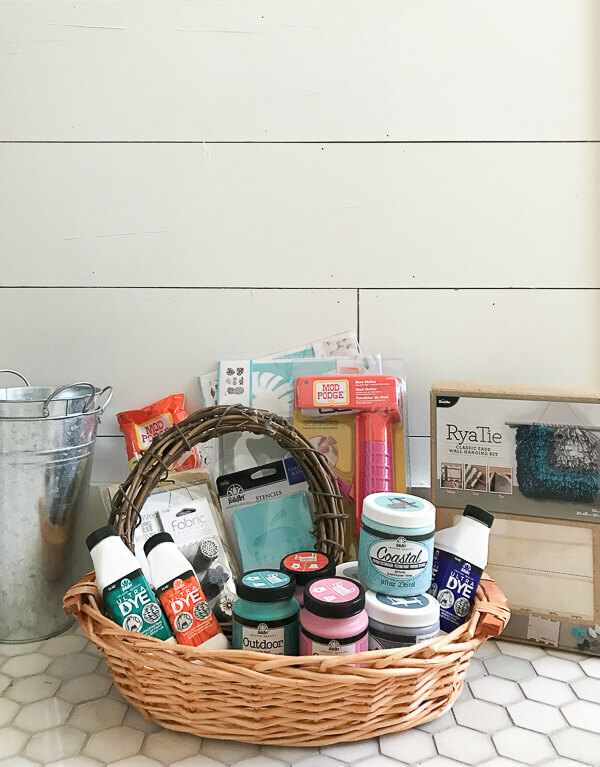 There are 7 bloggers involved in this giveaway and each one of us scoured our large supplies and came up with some pretty cool bundles! I finally had to admit to myself, I am a craft supply hoarder. I have so much….but the reality (or what I tell myself) is that you just never know when you might need said craft supply. Well, after a while I have realized that I just don’t use it all, and I would love to give it to someone that might take more advantage of it! What are your crafting goals this year? Do you plan to spend time creating? I know its hard for us all to find time to create, but this is how I decompress when I am stressed and anxious, so having a craft stash is very important to me. So for my craft supply giveaway, I have pulled out some really fun items to include in this. 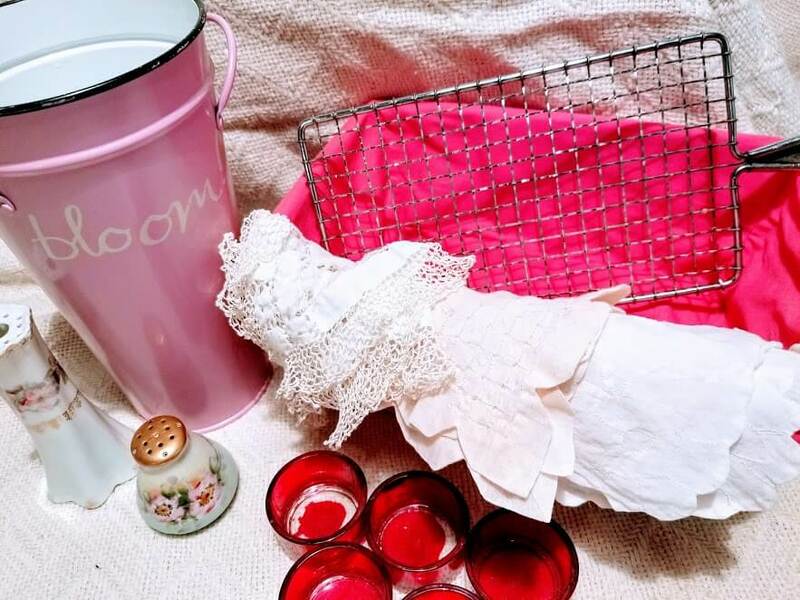 I have included 2 galvanized buckets, some yarn tie projects, a modge podge gun, outdoor paint, wood and fabric dye, stencils, and much more! What about some craft paint, stencils, yarn projects, and some of these super cute galvanized buckets? And that’s just a few of them. All you have to do is enter into this rafflecopter giveaway below and you will be in! The giveaway rules are simple, just check out the options of each entry and you will be counted in the giveaway. The giveaway will run from 6am Sunday January 14 until Sunday, January 21st at Midnight. Giveaway only valid for US residents. Age 18 years and older can participate. I’m responsible for shipping costs but not responsible for lost or damaged mail. 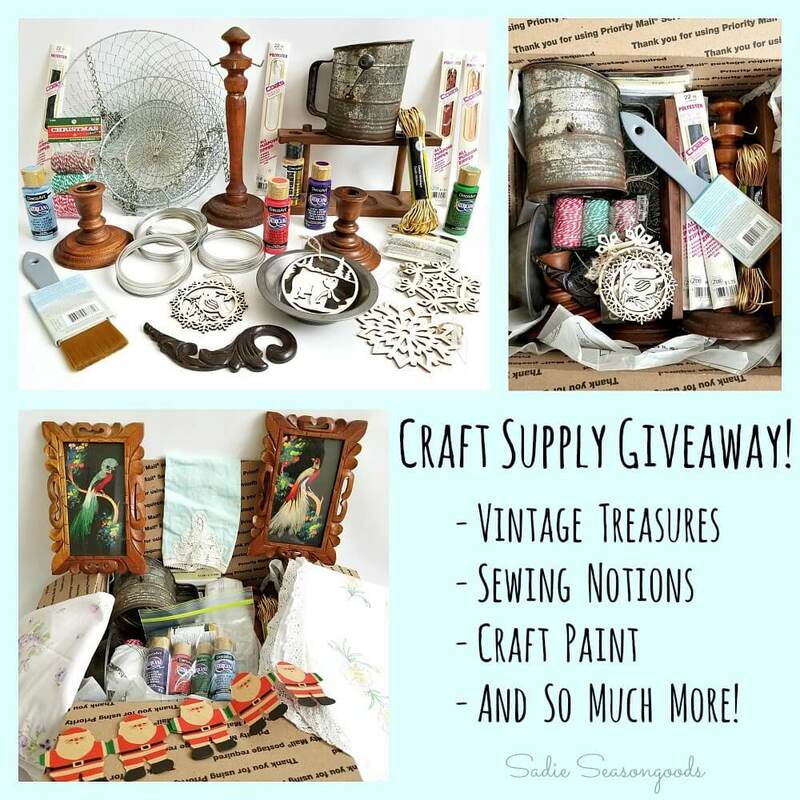 Enter craft supply giveaway below! I wish you all good luck! 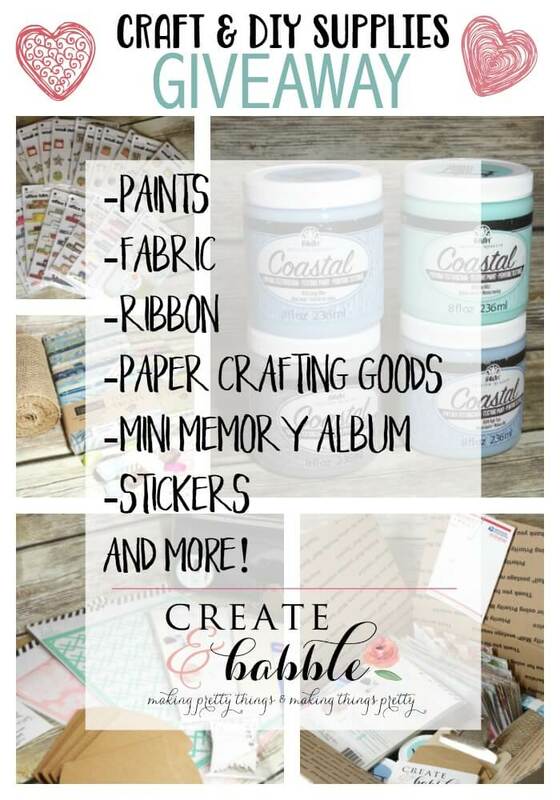 There are so many fun items in this craft supply and I can’t wait to see what you do with it all! 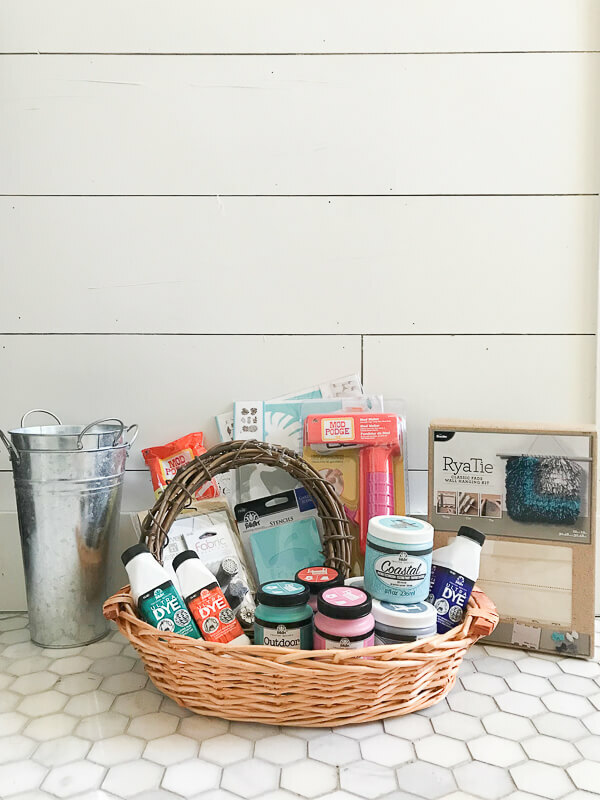 Now make sure you hop over and enter to win one of 6 other craft supplies! Simply Click on the name of the website below to be taken directly to the giveaways. « How to Hang Curtains For Less with These Easy Tips! That is THE BEST craft goodie box! Would love to win!!! Thanks for the opportunity! Oh yay! Good luck to you! So sorry! If you have a facebook account you can click on the link through the rafflecopter giveaway and it will add you to the giveaway. Sara, thanks so much for all the great things in this box….I see many things I can use this year! I love keeping my hands busy and I’ve crafted anything I can since I was a kid. I enjoyed looking at your facebbok page. At this late stage, I think I am leaning toward cottage/romantic with a touch of farmhouse! Thanx for the giveaway chance. Wow! 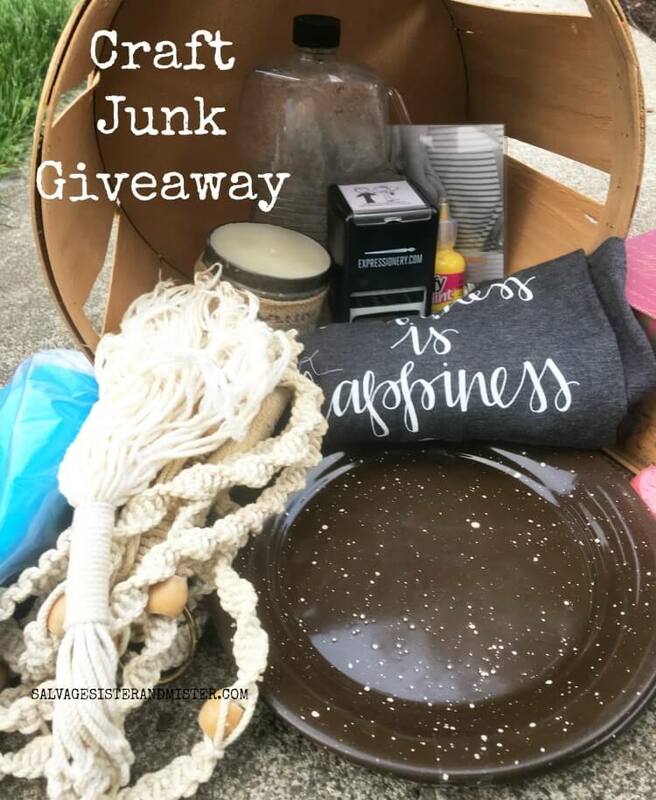 What a fantastic give away! Thanks for the opportunity to win such wonderful items! Wow! 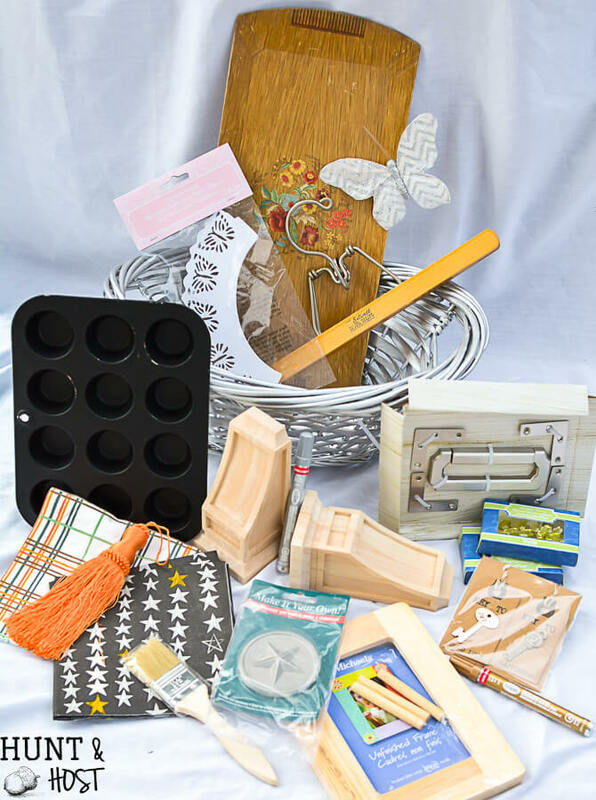 My creativity is overflow with ideas of how i could use the giveaways basket. Paint, the buckets, and the stencils. Good luck to everyone! Thanks so much for stopping by! So glad you were able to find something useful here. Great give away!! hope i win good luck to everyone.